Summary: Difference Between Video Conference and Webinar is that video conference is a meeting between two or more geographically separated people who use a network or the Internet to transmit audio and video data.While Webinar short for Web-Based Seminar is a lecture, presentation, workshop, or even seminar that is transmitted over the web by using any video-conferencing software. A video conference is a meeting between two or more geographically separated people who use a network or the Internet to transmit audio and video data. 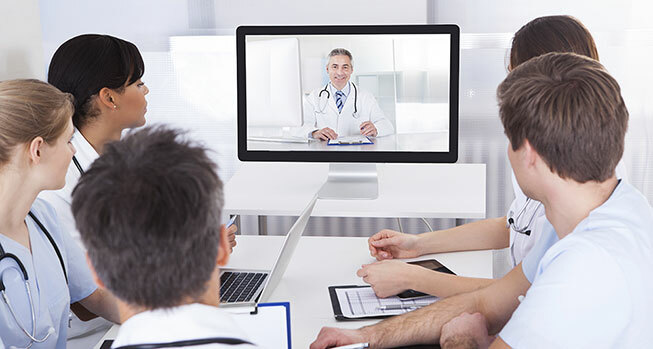 To participate in a video conference using a computer, you need video conferencing software or use a video conferencing Web application, along with a microphone, speakers, and a video camera attached to or built into a computer. As you speak, members of the meeting hear your voice on their speakers. Any image in front of the video camera, such as a person’s face, appears in a window on each participant’s screen. As the costs of video conferencing hardware and software decrease, increasingly more business meetings, corporate training, and educational classes will be conducted as video conferences. Webinar short for Web-Based Seminar is a lecture, presentation, workshop, or even seminar that is transmitted over the web by using any video-conferencing software. There are many things that gets better because of webinar, the ability to give, receiving information and discuss information in real-time. You can also share different types of information with other online members on Webinar. You can share media with other members and documents too. While presenter of the webinar is conducting lecture attendees can share documents through webinar software.